Duirinish Lodge was built in 1932 by General Sir Torquhil George Matheson, 5th Baronet, and his wife Lady Elizabeth Matheson. 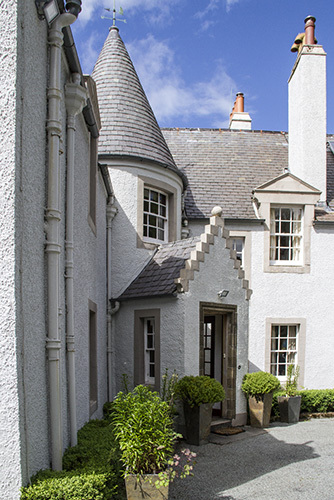 Lady Matheson wanted a smaller, more manageable holiday house than their nearby former family home, Duncraig Castle. 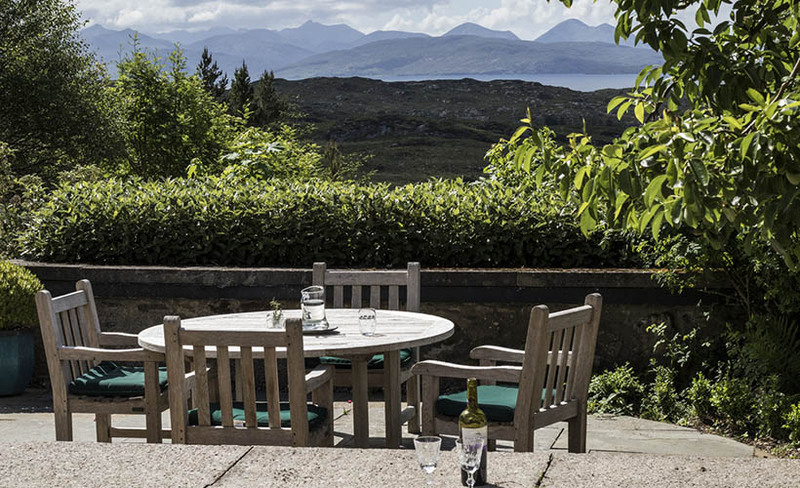 The exact position of Duirinish Lodge was carefully chosen to take advantage of the views of the surrounding areas towards Skye, Plockton and Applecross as well as to preserve a 300-year-old oak tree which now provides shade to the terraces. 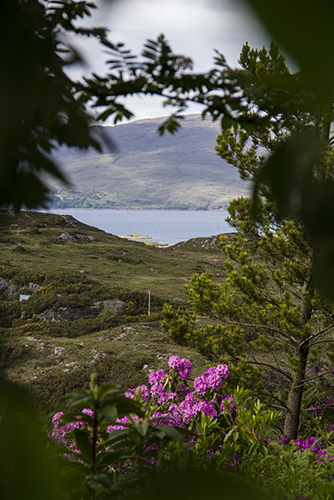 In addition to the views, the opportunity to build within the glorious native woodland of an 18-acre estate and the potential for Lady Matheson to create some of the magnificent gardens which still remain today, were no doubt contributing factors in deciding the final position of the Lodge. The Lodge design echoes the traditional Scottish baronial style but with 1930s influences in the clean lines of the external facade. The interior is warm and inviting, and the attention to detail is second to none – decorated and furnished with a lightness of touch. 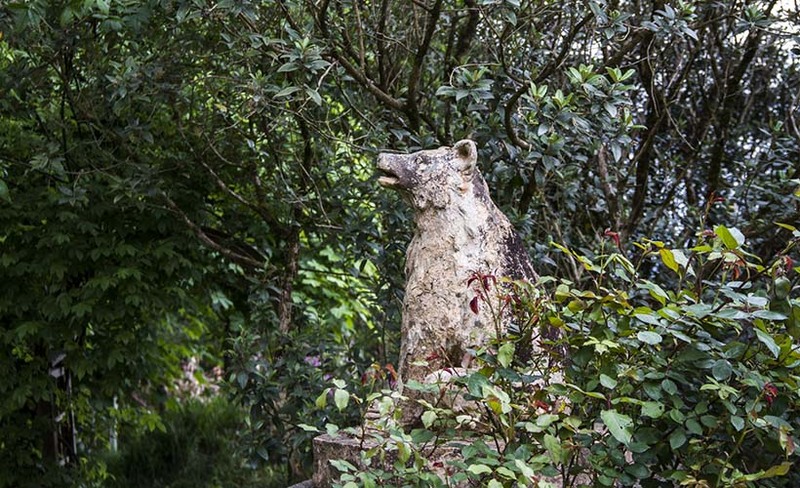 At the corner of one of our terraces you will find a concrete statue of a bear. The bear was the mascot of the Western Command of the Indian Army, which was General Sir Matheson’s last posting as General Officer Commanding before retirement in 1935. Concrete was still a new material at the time of the Lodge’s construction, being experimented with and developed in its use in various modernist buildings across Europe and America. 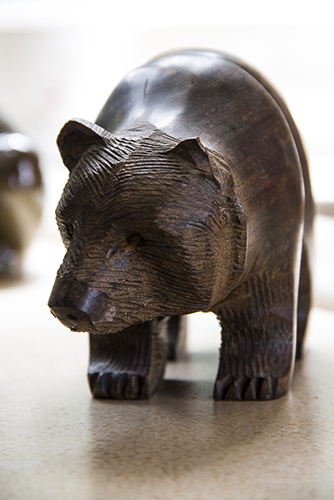 The bear, now alone in its silent vigil, used to have a companion, but they became separated when a previous owner of the Lodge sold the estate. 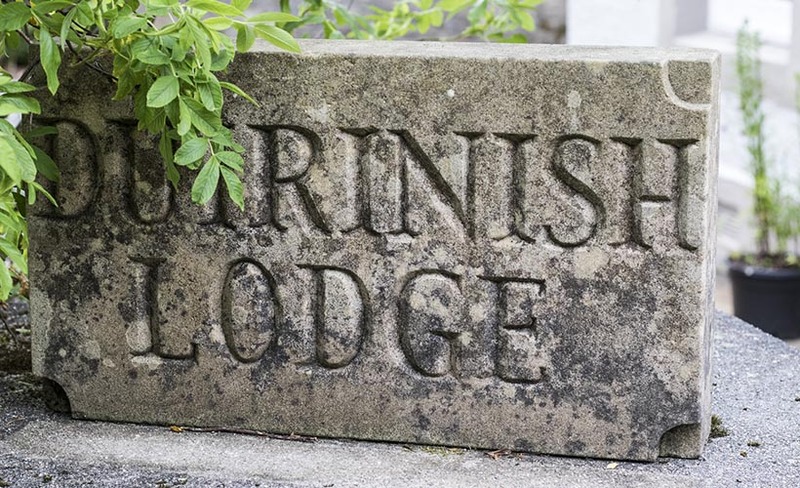 Duirinish Lodge has had only four owners in its 85 years of existence and the current owners bought the building in 1996. 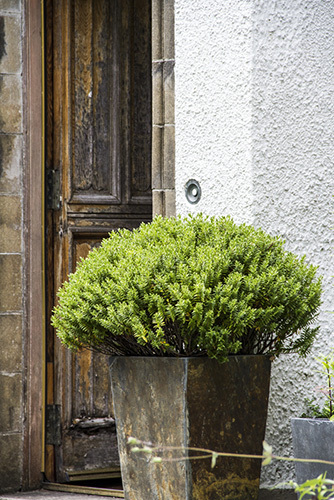 They have spent many years lovingly restoring the building and surrounding gardens and woodland to their former glory and transforming it into the warm and comfortable home it is today. Scottish Country Lodge and Estate available for weekly rental. 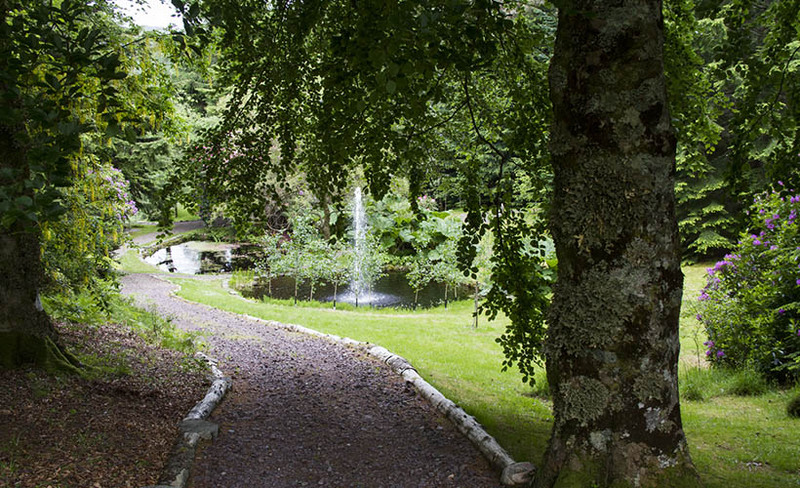 Set in 10 acres of glorious Scottish woodland, including beautiful gardens, water features and a fruit & vegetable garden.